Google Docs was one of the first cloud-based document editors. Along with Google Docs, Google offers productivity tools around spreadsheets, and presentations to get work done. However, a lot has changed in the world of technology in the past decade, since Google Docs came into the picture. 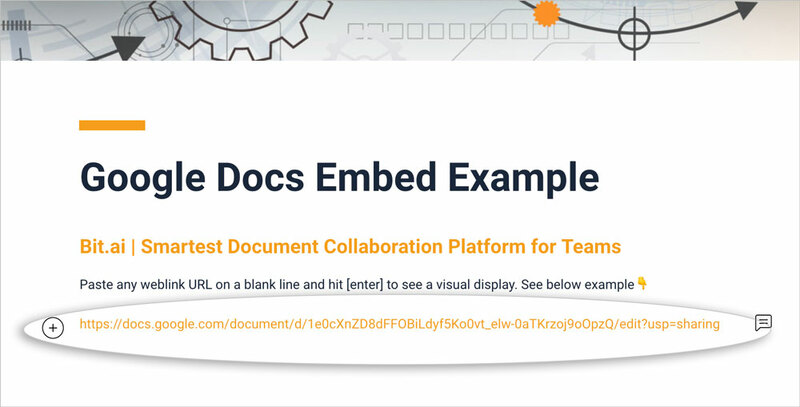 When Google started offering real-time document editing and collaboration, it was a game-changer for a lot of remote teams who previously collaborated on work using a long chain of emails. Google solved the problem of lost information stuck in email attachments. However, today’s fast-paced, digitally inclined systems we incorporate in our daily lives need to be versatile, robust and should not only match our digital workflow but also surpass it for added efficiency. That is why we created Bit, the collaboration tool everyone expects in our digital world. An introduction to Bit: The Future Of Documents! 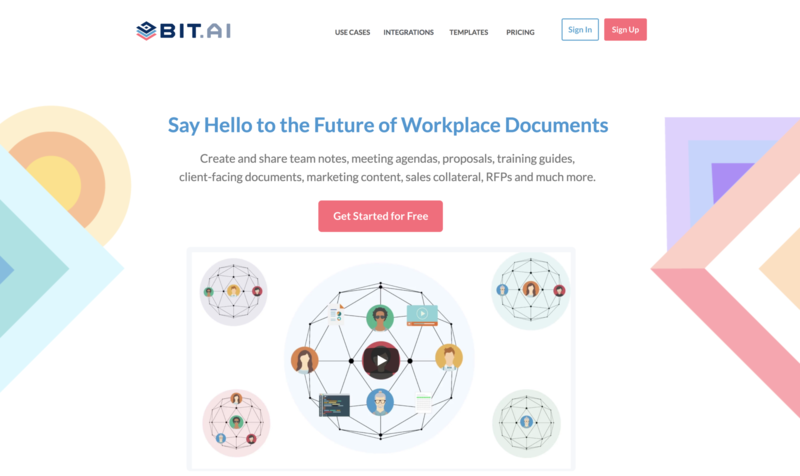 Bit is a new-age cloud-based document collaboration tool that helps teams collaborate on documents, track documents, and manage content all in one place. Bit is unique and will change the way you and your team think about collaborating and sharing information with your colleagues. Bit’s platform helps you create documents of the future. Instead of relying on plain text and images to communicate, Bit helps you add rich media like YouTube videos, Google Docs, One Drive Excel Spreadsheets, GIFs, Tweets, and much more. Basically, anything on the internet with a link can be shared and Bit will automatically turn it into visual interactive content. Use Google Docs and Bit together! Embed Google Docs inside a Bit document as an iframe! If you are a long time Google Docs user and have a lot of your workplace documents written in Google Docs, simply copy the URL of the page, and paste it onto a blank line inside a Bit document. And voila! 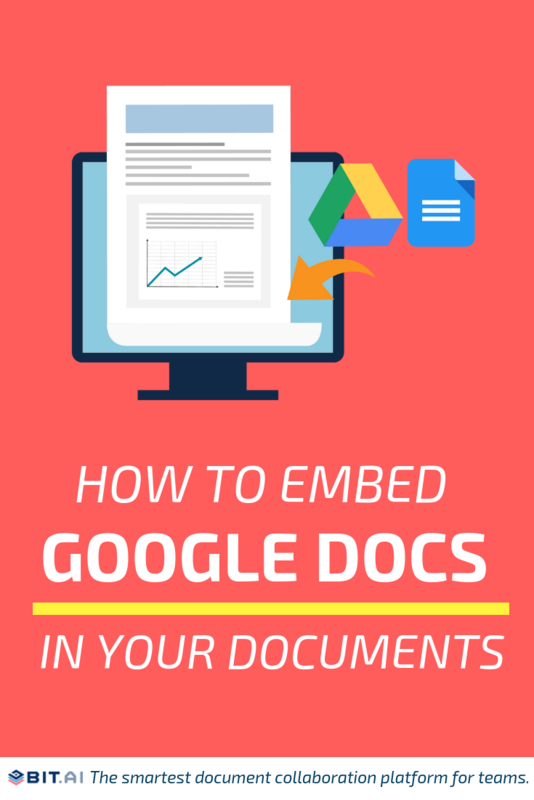 You have a Google Doc embedded inside a Bit document! No more dealing with messy iFrame/embed code! 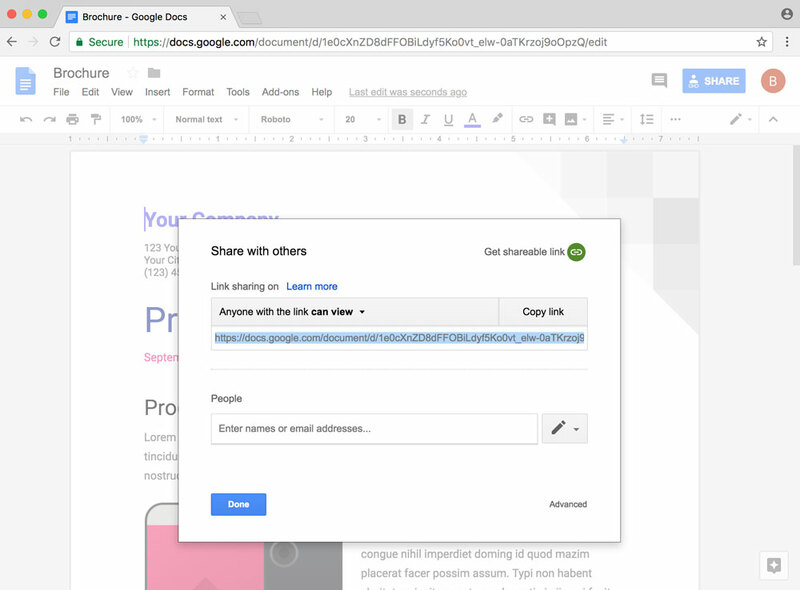 Embed Google Docs inside a document in seconds! Now you may be wondering why the heck do I need to do that? Well often times we are sharing various types of content and our emails are filled with links and attachments along with directions and explanations for our audiences. Bit helps clean up that communication, whether you’re sharing knowledge or collaborating and allows one central place to showcase that information in a professional and visual way. 1. 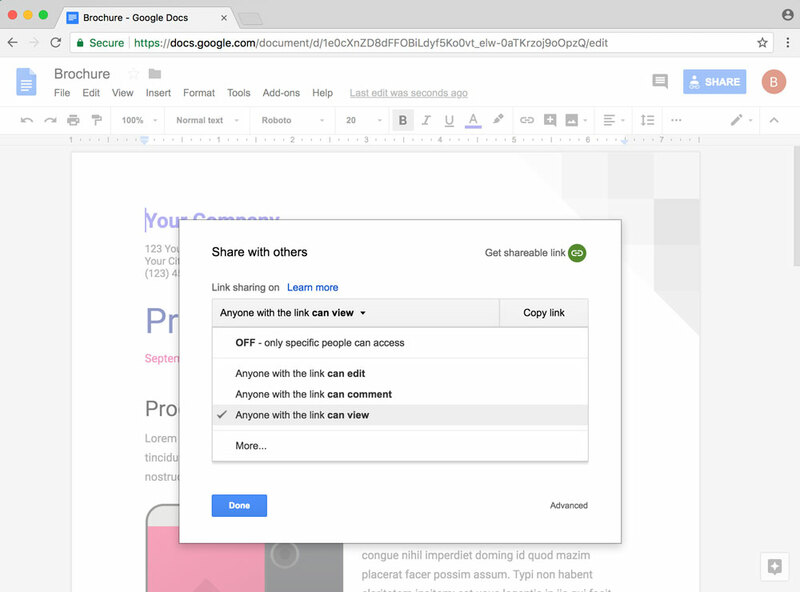 Click the share button for your Google Docs weblink. 3. Copy the Google Docs shareable link. 4. Go to Bit.ai and paste the Google Docs weblink on a blank line and hit enter. 5. Bit will automatically fetch the Google Docs and display it like this. Important: Any changes made to this Google Doc will be reflected in your Bit document rich embed. If you’re looking for a modern way to communicate with your team and get work done quickly, Bit will help you do that even better in this digital age. Bit reduces the need to switch between multiple tools and helps streamline your company’s workflow. 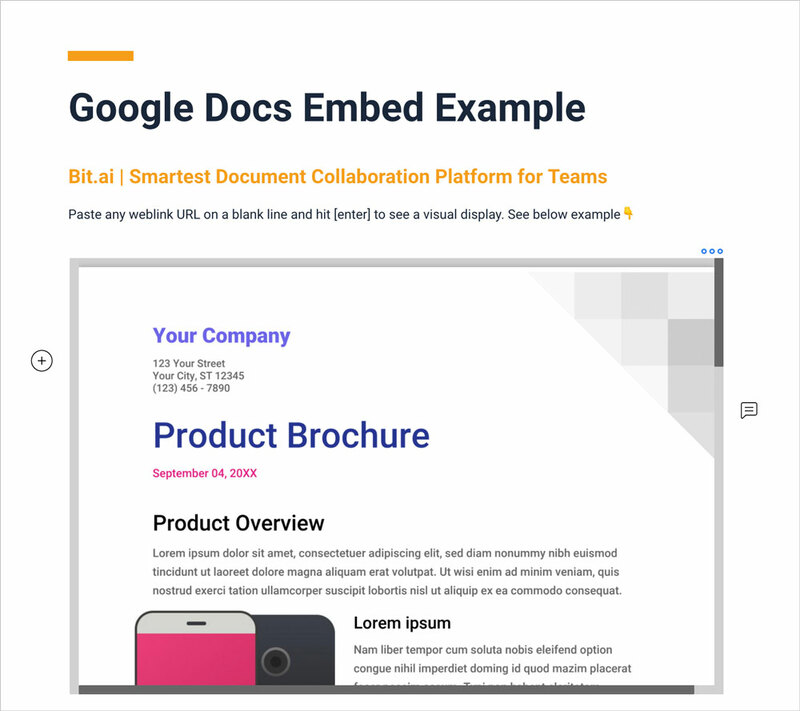 The great part is if you love Google Docs, you can still keep using it and embed those Google Docs within Bit so you can communicate more effectively with your internal team and with clients, partners, investors, suppliers, etc. You can also embed Google Spreadsheets, Google Forms, Google Slides and more! Bit forces you to rethink how you’ve been creating, managing and sharing your documents. It’s time to move on from your dated document editor and start creating dynamic, lively and beautiful looking documents with Bit.ai.